Alex Flynn-Fitzgerald doted on his pet cat Sparkles, and when she died, poor Alex was devastated. Alex had always wanted a cat. When a neighbour’s cat had a litter of kittens, he visited the household every day, watching the tiny newborn sausage-like creatures grow into playful handfuls of kittenhood. He kept asking his mother if he could, please, please, please, keep one of the kittens as his own pet. 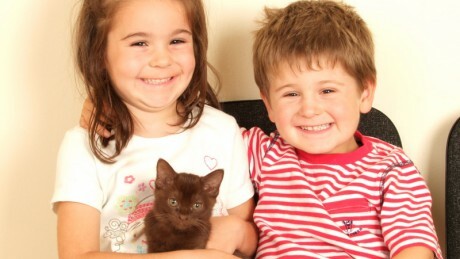 When the kittens were old enough to be sent to their new homes, his mother finally agreed. Alex picked out the kitten of his choice, and he named her Sparkles. Sparkles grew up to be a fine looking black and white cat. She had everything done for her, including vaccinations, spaying, and regular worm and flea doses. She was well-named – she did seem to sparkle with good health. She also turned out to have a very sparky temperament. She was always out and about, and was not a cat who liked to sit in a human’s lap to be petted. Sparkles was more likely to chase Alex’s feet than to lie beside him purring, but Alex loved her anyway. She became a part of his life, and he enjoyed her company. Alex had classmates who had dogs, but he preferred the companionship of a cat. She did not depend on him: she was her own creature, doing her own thing. Alex liked to think that she was a bit like himself: he is a football-playing, sport-loving person, not somebody who hangs onto his mother’s coat-tails. If Alex had been a cat, he felt that he would have been just like Sparkles. Sparkles was a creature of habit. Twice a day, without fail, she would turn up for food, miaowing until it was put into the bowl, then purring as she tucked into it. A couple of months ago, Alex noticed that she was not as keen on her food as normal. She seemed well otherwise, but it seemed odd that she didn’t show the same enthusiasm at meal times. Alex’s family was just beginning to think that perhaps they should take her to the vet, when something worse happened: Sparkles disappeared. The family has a big garden, and they searched it carefully, but there was no sign of the cat. She seemed to have vanished completely. 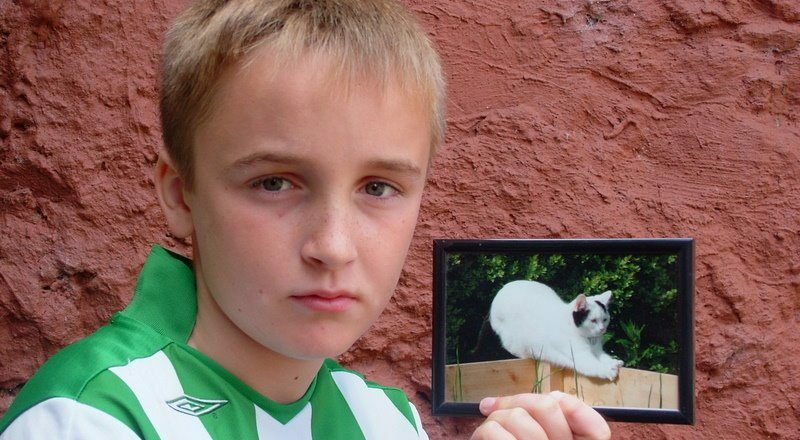 Alex’s mum feared that maybe she had “gone off to die”, and Alex began to think that he might not see his cat again. Then, as suddenly as she had disappeared, she came back again, and her appetite seemed to have returned. She ate hungrily, and behaved normally in other ways too. Cats are independent animals, and Alex thought that perhaps she had just decided to visit some neighbours for a few days, for no particular reason. A few weeks later, Sparkles began to be finicky about her food again. At this stage it was clear that she had lost weight, and she was beginning to look a little unkempt and scrawny. Alex’s mum phoned the vet to make an appointment, but when she went to put Sparkles into the cat carrier, she had vanished again. This time, she was missing for two days, and when she came back, she was clearly very unwell. She was taken to the vet at once, and an immediate investigation into the cause of her problem was started. Sparkles was hospitalised and fed special high-energy food by hand, to try to give her some strength back until a full diagnosis had been made and specific treatment could be started. Blood tests and urine samples were taken, and these suggested that there was something odd going on with her liver. A series of x-rays confirmed that poor Sparkles had a solid mass, as big as a cricket ball, growing out of her liver. 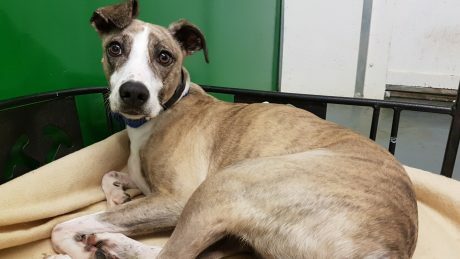 The vet was not sure what the mass was made up of – it could be an abscess, or infection, but worst of all, there was a significant possibility that it could be a rare form of liver cancer. The vet tried to break it gently to Alex: Sparkles was seriously ill, but it was too early to say whether she would pull through or not. An extra test was needed to find out more about what was happening. The plan was to use ultrasound to collect a biopsy from the mass in her abdomen. This was scheduled to take place the following week. Meanwhile Sparkles was kept at the veterinary hospital, receiving intensive treatment and nursing. Unfortunately, poor Sparkles did not live long enough to have the biopsy taken. Her condition deteriorated to the stage where she was so weak that she couldn’t walk around the room. The vet explained that her problem was almost certainly caused by incurable liver cancer, and the difficult decision was made to carry out euthanasia. Alex didn’t stay while this was done, but the whole family gathered around the grave when Sparkles was buried in the back garden afterwards. Alex’s mum read out a prayer, and a neighbour’s child placed flowers and a cat toy on Sparkle’s body before the earth was filled back in. Alex still misses Sparkles, but he knows that everything was done that could have been done to help. Sometimes life doesn’t turn out the way that we want it to. Alex has had his first lesson in losing a friend, and it has not been easy. 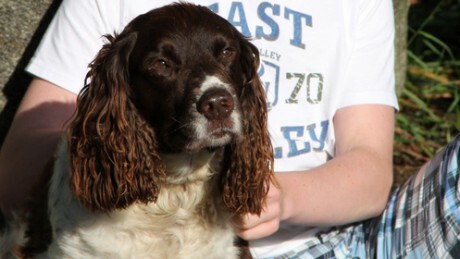 Patch, a Springer Spaniel who made a dramatic recovery after suffering a “stroke”. Please note that I am unable to answer veterinary questions in comments. 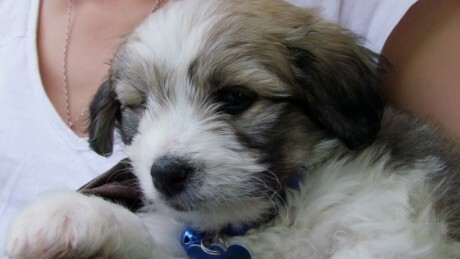 If you have questions or concerns about your pet's health it is always better to contact your vet.